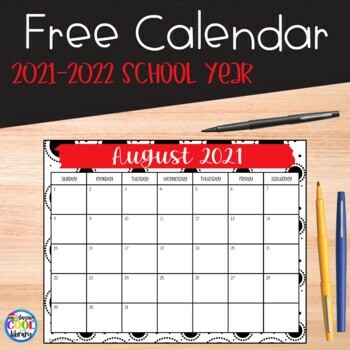 This free 2019-2020 calendar can be printed and added to your binder, lesson plan book or put on your bulletin board. I made it to match my School Library Planner - Black and Red Theme but it can be used for a variety of purposes. I hope you find this product to be useful! If you download and like it please leave some feedback. Thank you!